Connect-Ticket was started with the intention that when many people pray for a situation, together, wishing for its highest good – a shift happens. When one person knocks at the door, someone may not hear. But when many people knock, and knock loudly – the door is bound to open. This is a story about human goodness, about hope, about new-found friendships, and about the astonishing power of collective prayers. 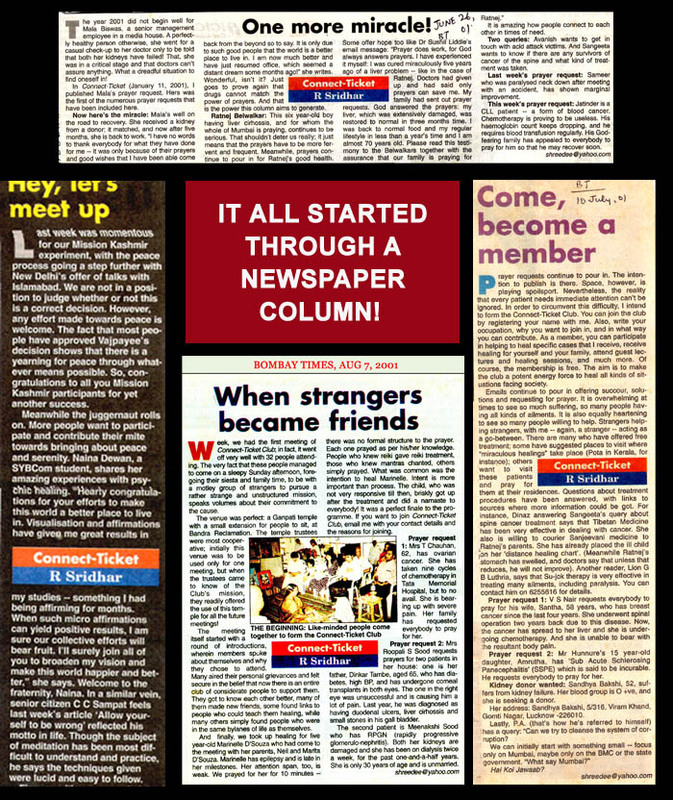 Sridhar wanted to use a newspaper column to connect one citizen to another, and to provide an opportunity for people to express their goodness without getting into any hassles with law. Praying for others is the simplest form of donation and the need of the hour is to promote the concept of non-religious prayer. The aim was to form an ‘energy bank’ that people can contribute to and withdraw from when in need. Unlike regular columns, Connect-Ticket’s aim was and is to use a newspaper’s reach to initiate a mass movement aimed at harnessing the collective energy of the column’s readers to help individual citizens in trouble. 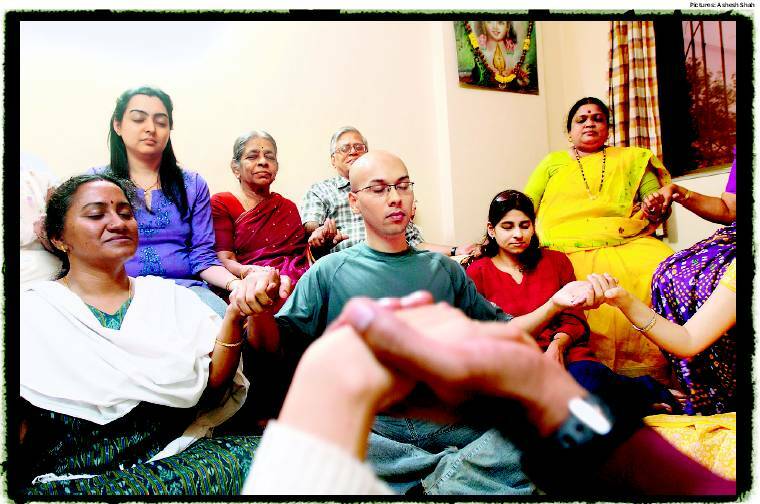 Sridhar is also a holistic therapist, and he knew from his healing experience that collective energy results in faster healing, and felt that if he could write a column and get the energies of an entire city to help one individual, it would result in healing. And it definitely did! People from all walks of life started praying for complete strangers. Through the column, Sridhar invited his readers to email him their issues - it could be related to health, relationships, money, or even something like not getting a visa on time. People wrote in and Sridhar published those requests in his column, in turn requesting his readers to pray for them. The belief was that if so many people pray for one individual, the collective energy so generated will definitely result in healing. The result was astounding. Mumbai responded with gusto, and Sridhar published some of these responses also in the column. He also followed up with those who had put up the prayer requests and posted updates in his column. A movement was now slowly taking shape. With so many people corresponding with him, he decided to formalize the group after discussing the same with his family. His wife Chithra and he then conceived of how to take the movement forward. He called for a meeting of these faceless readers in a temple at Bandra. 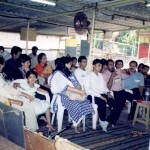 Around 35 people came and that’s how Connect-Ticket, the prayer group started on July 29, 2001. Soon, it got an online presence through an egroup, and members from all over the world joined in. Those in Mumbai met up every alternate Sunday at the Bandra temple for 3 hours to simply to pray for people who required praying. 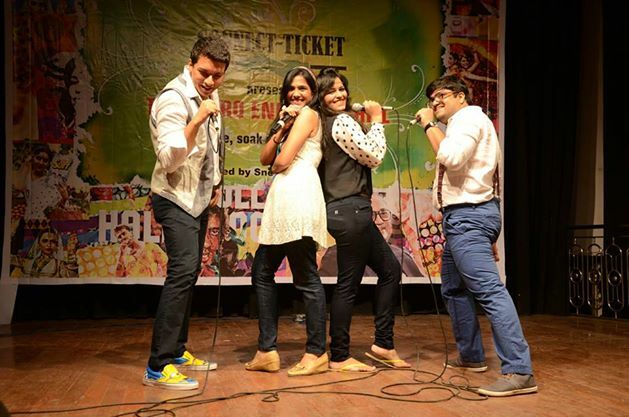 Currently, the group has members all over the world. Currently, the members comprise all age groups, vocations and religions. There are many youngsters in the group, which is contrary to the notion that youngsters are not interested in activities like prayers. The members meet up once a month where complete strangers bond with each other. Now the meetings are held outside Mumbai as well. The group has a Facebook presence too. Membership is open to one and all. People are free to join, leave, re-join, and re-leave as they wish. There is no membership fee. If you want to host a meeting, how should go about it? Get in touch with us, and we will revert to you with the details. You don't need to worry about how many people your home can accommodate. Intriguingly, only that many will come as can comfortably be seated in your house. Does the group bond in other ways apart from praying?